Hyderabad: For the second year in a row, the Hyderabad team failed to make it to the quarterfinals of the Ranji Trophy season. With just one win and six draws along with a defeat, Hyderabad crashed out of the season with 17 points. Reflecting on the season, a disappointed Hyderabad captain P Akshath Reddy said that they could have done much better in the season. “We are disappointed not to qualify for the quarterfinals. We won only one match. We could have won more matches and qualify for the next round. So it was a mixed season,” he said. 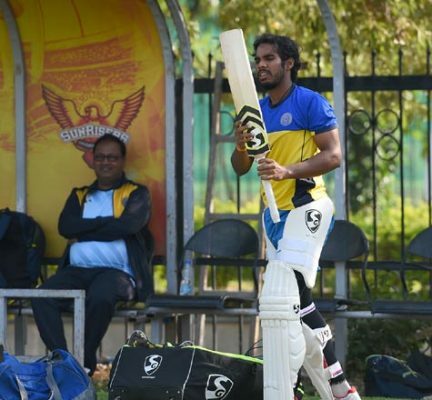 Akshath had led Hyderabad from the front with his batting performances amassing 797 runs in eight matches with a staggering average of 79.70. He also slammed two centuries and four half-centuries with a highest score of 250. Speaking about his performances, “I have been trying to perform consistently as much as possible. I could have done much better. But I’m pretty much happy with my personal performance but all said and done, we could have qualified for the quarterfinals. That was a major disappointment. I have been doing well for the past six years in the domestic season. I was hoping to get a chance to play for India A but I could not. If you look at this season as well, we qualified for semifinals in the ODIs but there is only one cricketer from Hyderabad (Siraj) in the Indian side. Last year too we qualified to quarterfinals but still we had only one player. There is no proper system. Sadly, there is no one from the association who could take the matter with the selectors. That is the major difference between other associations and ours. It is demoralising not to be recognised even after putting consistent performances,” he rued. With the Ranji season done and dusted for them, they are now focused on doing well in the T20 format scheduled to start after the Ranji finals. “We analysed where we went wrong and where we could improve as a team. All those points were spoken about in the team meeting. We have a T20 tournament coming up. We did well in the last season. We lost a few close matches. So we want to do well this year. The preparations will start soon,” he concluded.